A little tropical style for your bathroom or kitchen is just what you need. 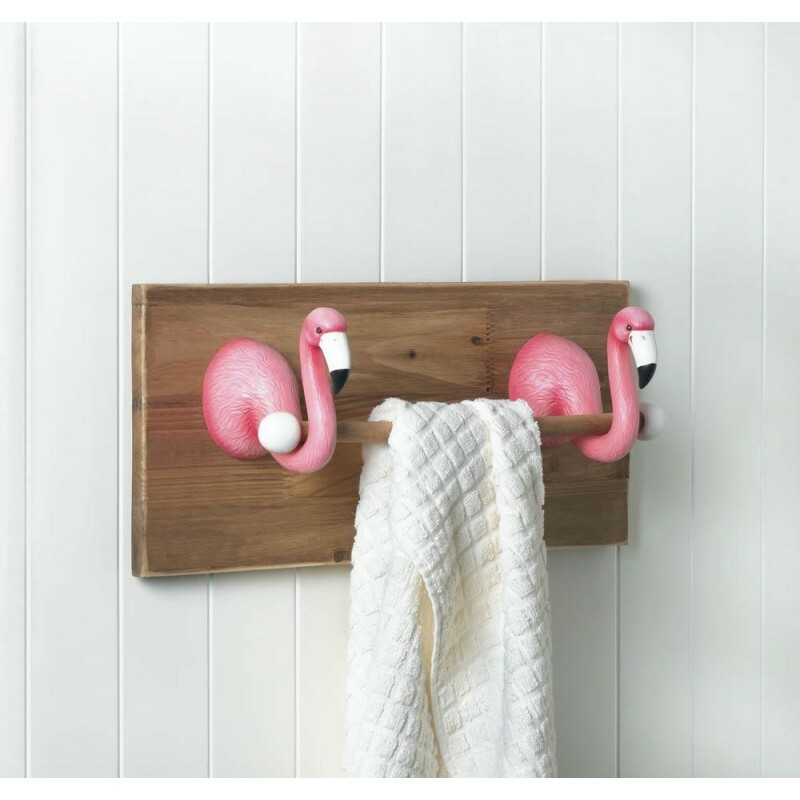 Two pink flamingo busts set on a wood plank hold a wooden dowel that's perfect for hanging a hand towel. 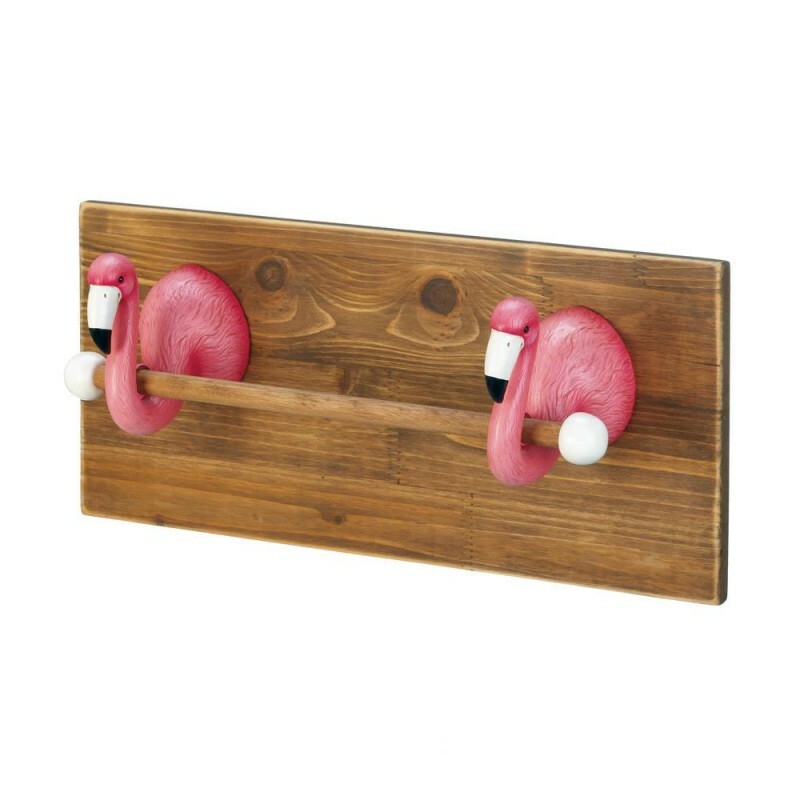 17.5" x 5.5" x 8". Polyresin Powder Stone, Pine Wood.